A Message from the President of the Republic of Kazakhstan, the Leader of the Nation, Nursultan Nazarbayev, «Strategy «Kazakhstan-2050»: a new policy of the independent state». 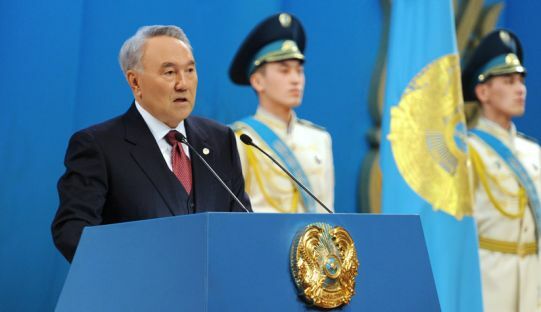 The President of Kazakhstan Nursultan Nazarbayev summarized the main results of the implementation of the Strategy "Kazakhstan-2030" and appealed to the people of Kazakhstan with a message "Strategy "Kazakhstan-2050": a new policy of the independent state”, during a solemn meeting, which was devoted to the Independence Day of the country. During his speech, the Head of State underlined the fact that the main objective that should be achieved by the Republic by 2050 is to create a wealthy society based on the strong state, on the economic development and on the opportunities for universal labor. At the age of 75 died the former prosecutor of the republic, 1st Class State Counselor of Justice, distinguished lawyer, honorable worker of the public prosecution, participant of the Great Patriotic War. In 2001 at Aksu plant of ferroalloys was started up the second furnace for the production of the high-demand manganese alloys.